This privacy notice explains what personal data the practice holds, why we hold and process it, who we might share it with, and a patient’s rights and freedoms under the law. Patient data is held for the purpose of providing patients with appropriate, high quality, safe and effective orthodontic treatment. We hold patients data because it is in our Legitimate Interest to do so. Without holding the data we cannot work effectively. 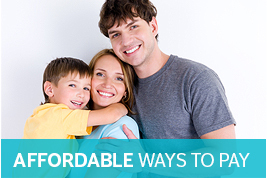 We may receive information from other providers who have been involved in providing care. The Practice Principal and Practice Manager are responsible for keeping secure the information about you that we hold. Our Data Protection Officer ensures that the practice complies with data protection requirements to ensure that we collect, use, store and dispose of patient information responsibly. Those at the practice who have access to patient information include orthodontists and other dental professionals involved with your care and treatment, and the reception staff responsible for the management and administration of the practice. To provide patients with the orthodontic care and treatment they need, we require up-to-date and accurate information. We will share this information with the NHS in connection with a patient’s orthodontic treatment. 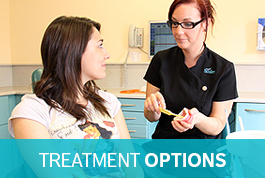 We will seek preferences for how we contact patients about their orthodontic treatment. Our usual methods are telephone, text reminders, email or letter. We will only disclose patient information on a need-to-know basis and will limit any information that we share to the minimum necessary. In certain circumstances or if required by law, we may need to disclose patient information to a third party not connected with their health care, including HMRC or other law enforcement or government agencies. We store personal information securely on our practice computer system and in a lockable manual filing system. Patient information cannot be accessed by those who do not work at the practice. Those who work at the practice understand their legal responsibility to maintain confidentiality and follow practice procedures to ensure this. 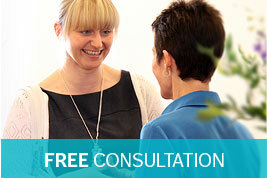 We use high-quality specialist dental software to record and use personal information safely and effectively. Our computer system has a secure audit trail and we back-up information routinely. We keep patient records for 11 years after the date of the last visit to the Practice or until the patient reaches the age of 25 years, whichever is the longer. Patients have a right to access the information that we hold about them and to receive a copy. Requests should be submitted to the practice in writing or by email. We do not usually charge for copies of information; if we pass on a charge, we will explain the reasons. Supply information electronically to another dentist or consultant. If a patient does not wish for personal information to be used as described, they should discuss the matter with their Orthodontist or our Data Protection Officer, Mrs Cathy Goody. If a patient objects to the way that we collect and use information, we may not be able to continue to provide orthodontic care.